Following an extensive testing process, we are proud to announce that our Defender Xtreme has recently acquired LPS 1175 accreditations in recognition of the maximum level of security it provides! 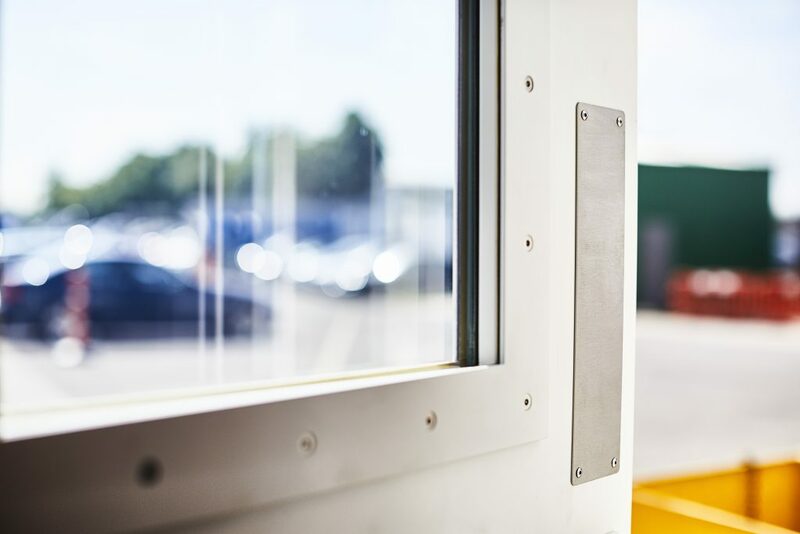 The Defender Xtreme is our maximum security doorset, offering unparalleled protection and peace of mind for a range of high security locations and environments. If you’re reading this, you’re probably already aware of LPS 1175 and its importance in the building trade and security industry. For those less familiar or looking for some clarification, LPS 1175 is a series of testing procedures carried out and approved by the Loss Prevention Certification Board (LPCB). The test manages intruder resistant building components, strong points, security enclosures and also free-standing barriers, fencing and gates. The accreditation covers a broad scope of physical security products and is the largest publicly available standard of its kind in the world. Following many years of work by LPCB, UK Government, Insures and Police, LPS 1175 has grown to become one of the main elements of physical security specification across a range of sectors. We recognise that every build is different and that every customer has different needs. For this reason, you are able to choose the security level you require to ensure the security of your premises. We offer different types of security ratings, ranging from LPS 1175 security rating 1 to LPS 1175 security rating 3. The LPS 1175 test measures the period of time in which an attacker can make a hole large enough to gain access into the building. Trained personnel from LPCB and the Building Research Establishment (BRE) carry out these tests, using a variety of force, tools and machinery. To achieve this accreditation, the Defender Xtreme has been put to the test to determine the product effectiveness and to ascertain the amount of force they are able to sustain. LPS 1175 Security rating 1 is able to sustain an opportunist attack using bodily physical force and using minimal tools (e.g. screwdriver, knife, pliers etc.). LPS 1175 Security rating 2 can sustain an attack from a determined opportunist using bodily physical force and tools with a high mechanical advantage (e.g. bolt cutters, claw, hammer, drill etc.). LPS 1175 Security rating 3 will protect the premise from a deliberate forced entry using bodily physical force and a selection of attack options (crowbar, gas torch, chisels, short axe etc.). To view a full list of ratings, tools and attack options used, download the Defender Xtreme datasheet. As well as providing maximum security protection, the Defender Xtreme can be produced with a variety of customisable features ensuring your security solution is made to your exact requirements and needs. This doorset is available as either a single or double door, with a wide range of width, height and structural opening sizes on offer for each security rating. To match your surroundings and environment, you can choose from 240 RAL, BS standard or marine-grade powder coat finishes – take a look at our colour range for more. In addition, we offer a wide range of ironmongery for our doorsets. Whether you require your door to function in a particular way or are simply looking to add the finishing touches to your security solution, we’re sure to have the ironmongery for you. Louvres can be fitted to your door to provide air ventilation, while vision panels offer increased safety and additional light to any room or premises. Panic exit bars are also available, enabling buildings to meet safety regulations and provide a safe and quick means of exit in an emergency. Other ironmongery includes locks, handles and door closers. Read our guide to ironmongery for more. Recently, Transport for London required a steel security door solution to compliment its security proximity access system. Through one of our long term customers, we were tasked with delivering a maximum security doorset for an extra-high security environment. The Defender Xtreme was selected to meet their requirements of a LPS 1175 rated door. 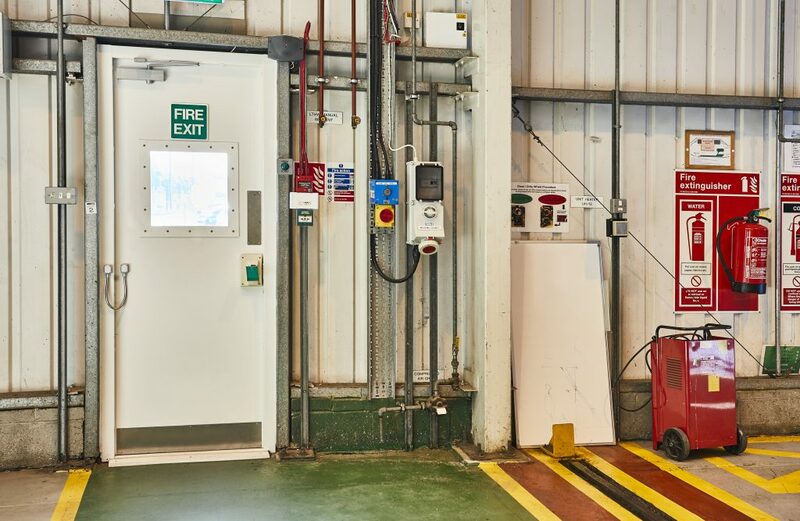 A SR2 level door was chosen and was integrated with Surelock McGill fire exit hardware, providing a quick, safe and easy exit in an emergency. Four months on from installation and the door is functioning as if just installed! Now the Defender Xtreme has achieved LPS 1175 accreditation, it will be listed in the Red Book – a key reference for specifiers, regulators, designers and end users of security products and services. Every product and service listed in the Red Book has been extensively checked by independent experts to ensure that is delivers and will continue to deliver the performance expected. In addition to this certification, Secured by Design have also acknowledged that the Defender Xtreme provides an effective measure in preventing and reducing crime. 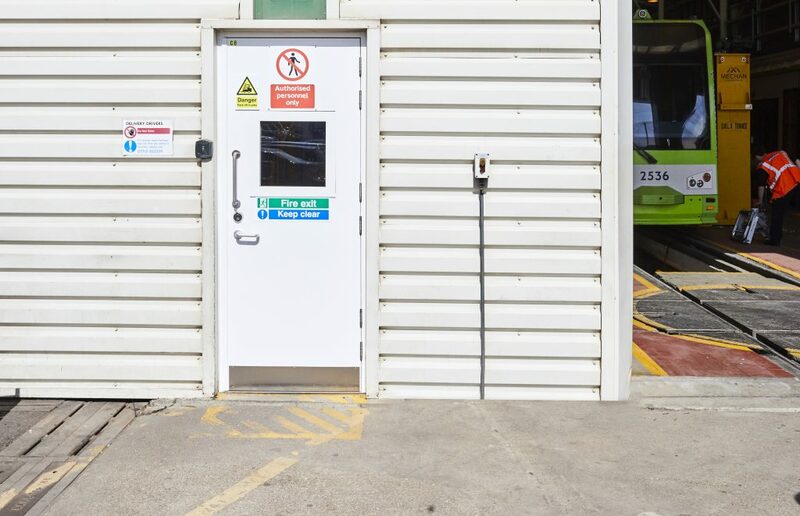 For those looking for further specifications, this maximum security doorset has been assessed to ISO 9001 standard and can be delivered fire rated. As with all our security doors, it’s also DDA compliant and CE Marked. 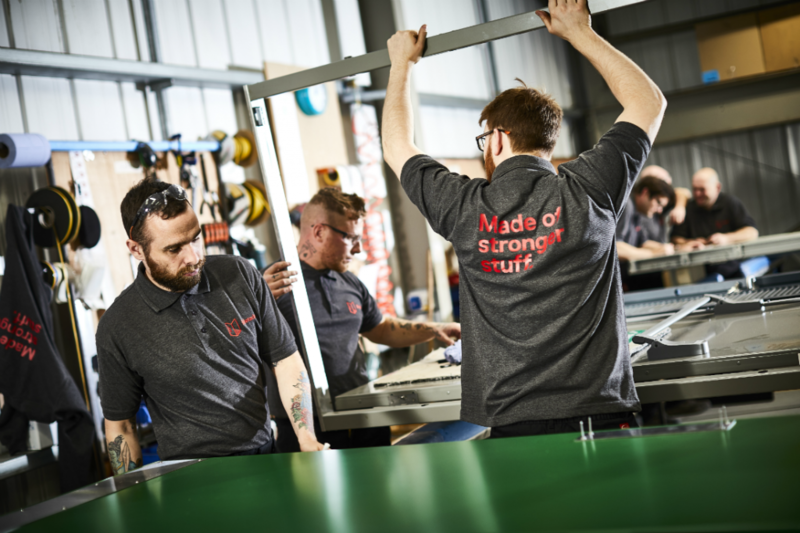 As well as the industry recognised accreditations outlined above, the Defender Xtreme is manufactured in the UK and put through stringent in-house quality procedures and safety checks at our North East office and workshop.